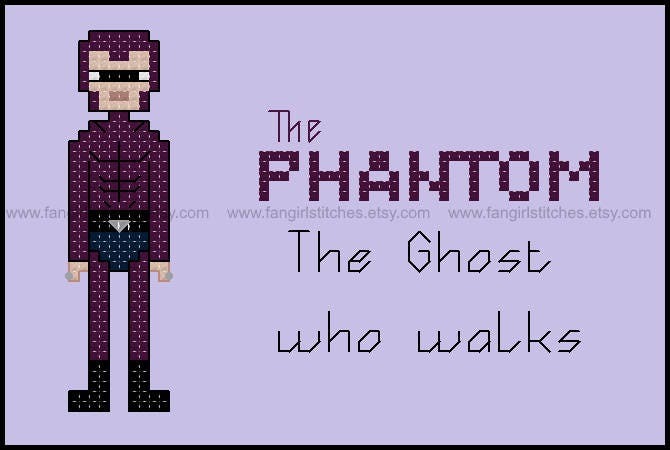 While you travel to Bangalla beware of "The Ghost Who Walks", will he give you "The Good Mark" the sign of his protection or will he have to give you "The Evil Mark"? 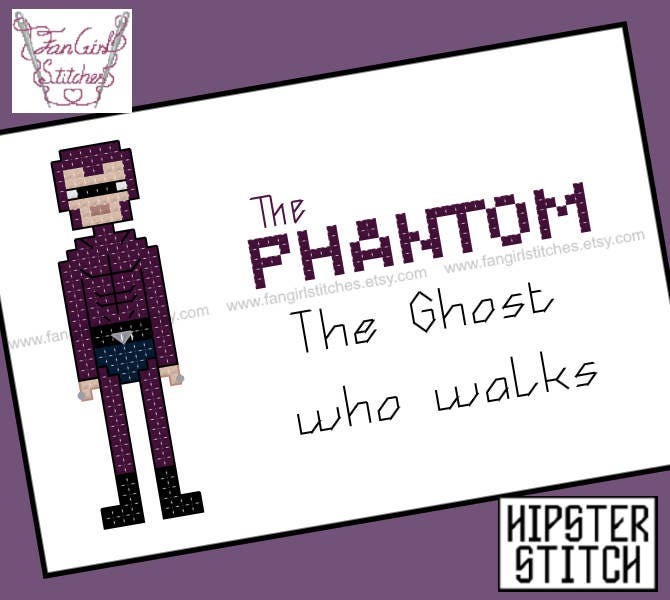 Enjoy this Phantom inspired cross stitch pattern. This is a parody (inspirational) work. 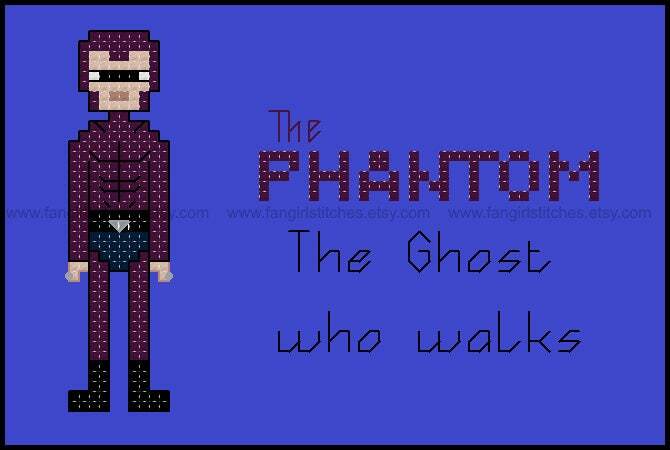 The Phantom and its characters are copyrights and/or registered trademarks of Frew Publications. This production is not sponsored, endorsed by or affiliated with Frew Publications or any of its subsidiaries or affiliated companies and/or third party licensors.